I want to go swimming, you said, while we were standing in my shower. You had just finished rinsing off the body wash when you said you wanted to swim. My apartment complex had a pool that was underused. You moved back to Texas six months ago, and I assumed you had not yet had the opportunity to swim. So I said, we should. 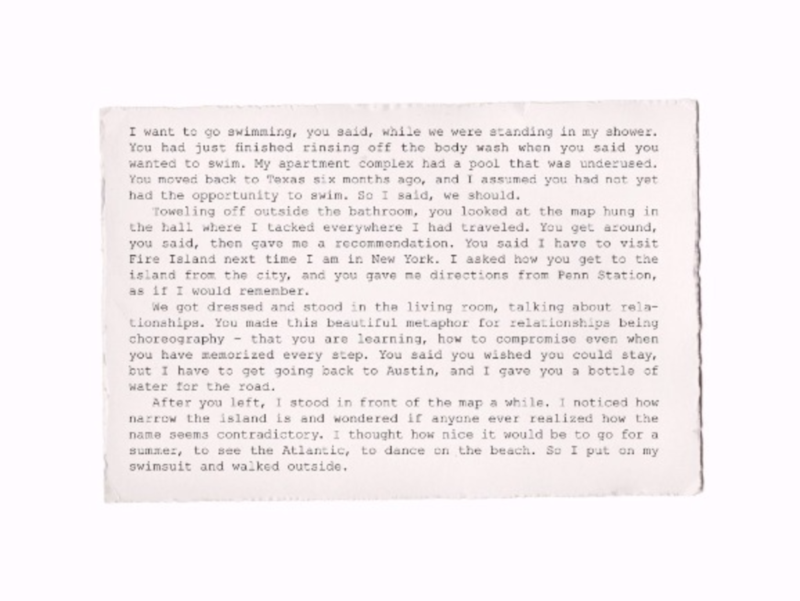 Toweling off outside the bathroom, you looked at the map hung in the hall where I tacked everywhere I had traveled. You get around, you said, then gave me a recommendation. 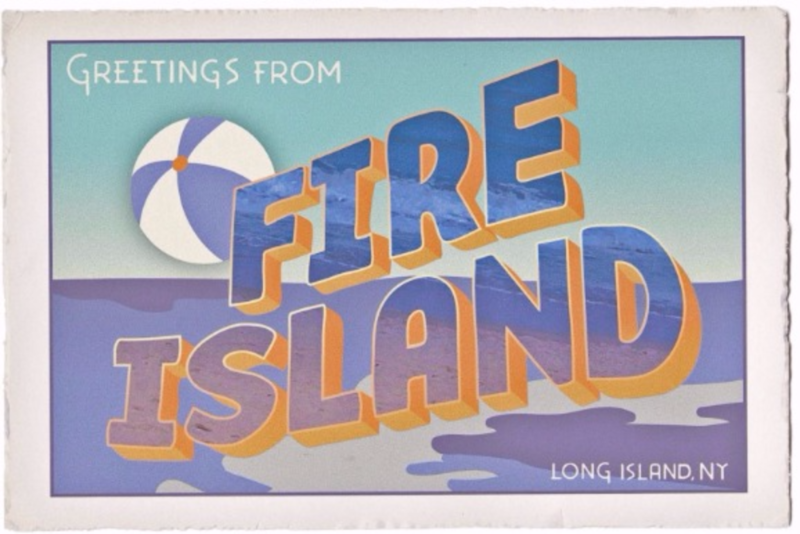 You said I have to visit Fire Island next time I am in New York. I asked how you get to the island from the city, and you gave me directions from Penn Station, as if I would remember. We got dressed and stood in the living room, talking about relationships. You made this beautiful metaphor for relationships being choreography – that you are learning, how to compromise even when you have memorized every step. You said you wished you could stay, but I have to get going back to Austin, and I gave you a bottle of water for the road. After you left, I stood in front of the map a while. I noticed how narrow the island is and wondered if anyone ever realized how the name seems contradictory. I thought how nice it would be to go for a summer, to see the Atlantic, to dance on the beach. So I put on my swimsuit and walked outside. Explore more work from B. Root here.